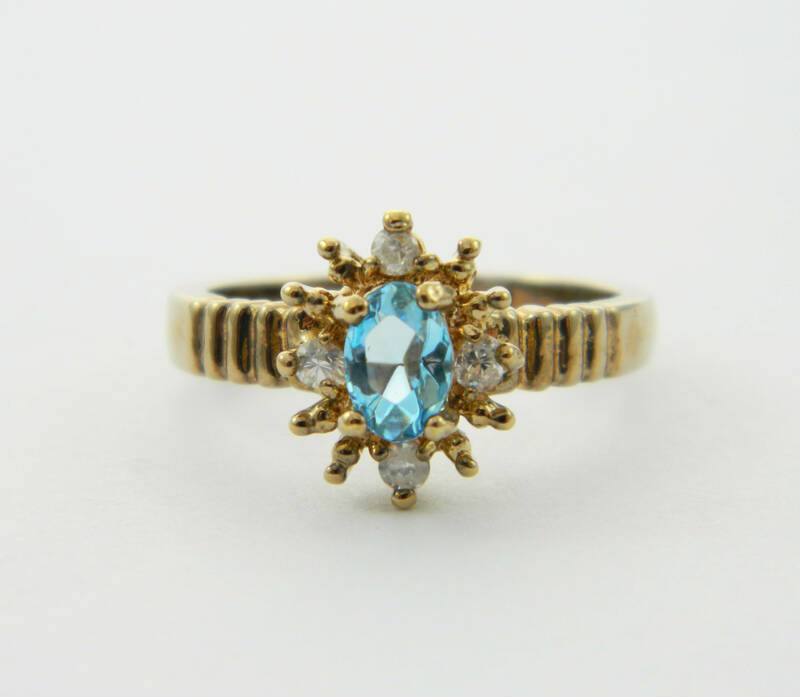 Gold Plated Vintage Cocktail Ring Faux Blue Topaz and Diamond CZs. Never Worn. Vintage Unsold Jewelry Store Stock. Material: Gold Plated Brass and Cubic Zirconias. 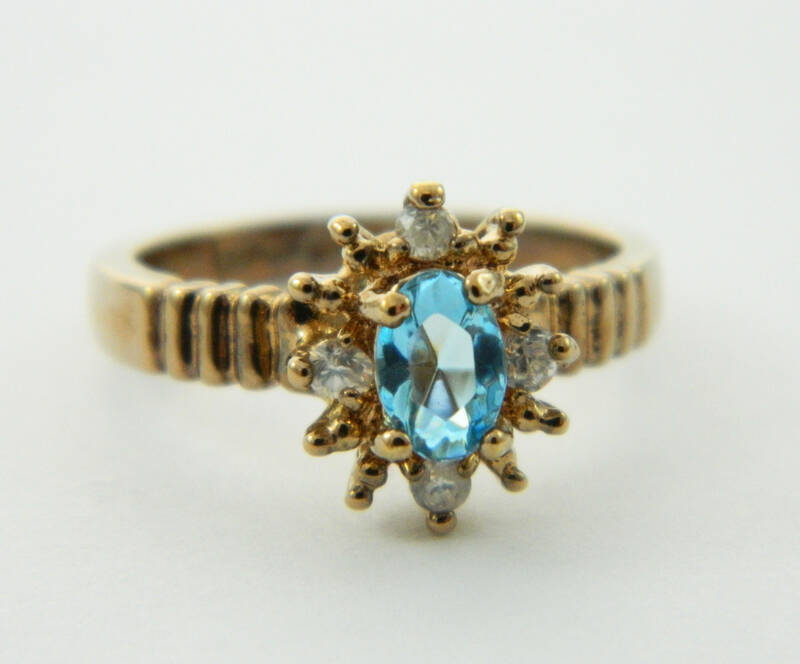 Note: There is natural Patina causing color change in gold plating on ring band - the natural aging is well balanced in this ring an adds to its vintage look. Patina is visible in photo.